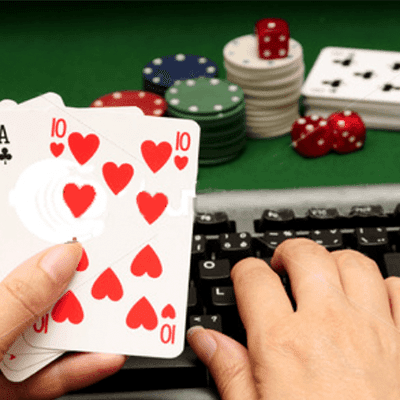 Are South African Online Casino Games Fair? Urgent scrutiny of a licensing jurisdiction. It's also easy to find SA online casinos through websites such as FhatsCasino, which have as their objective identifying sites that are licensed and offer safety guarantees. To determine if the games at a South African online casino are truly fair, gamblers have to take into consideration two major factors: licensing jurisdictions and software providers. Software Providers: An online casino's software provider tells a lot about whether the games are truly fair. Top software providers such as Microgaming, NetEnt, and Playtech enjoy an excellent reputation and take all the necessary steps to prevent their software from being manipulated by online casinos and players. Software providers are careful about who they partner with. They provide their games and gambling software platforms only to reputed online casino operators as they do not want to lose their reputation. The best software providers, therefore, partner only with the best casino operators. Licensing Jurisdiction: South African players will not find a single online casino that is licensed and regulated in South Africa. This is because South Africa has not yet legalized and regulated online gambling. Online casinos that accept players from South Africa have been granted licenses in remote gambling jurisdictions. This means that South African online casinos are located in different parts of the world and can be accessed by anybody with an Internet connection. Gambling jurisdictions will not grant online gambling licenses to online casinos until and unless they undergo comprehensive and stringent checks. Before granting a license, gambling jurisdictions check for owner credentials, game fairness, and payout processing procedures. If an online casino doesn’t have a good reputation, hasn’t partnered with a reputed software provider and appears incapable of processing player payouts fast, it won’t receive a license to operate in any country. Online casinos have to provide comprehensive information that is carefully audited by impartial, third-party companies. Gambling jurisdictions study the reports submitted by these companies before deciding whether to grant licenses or not. Online casinos are licensed only if their parent companies are capable of paying winners. At the same time, it is worth noting that gambling jurisdictions have their own policies. As a result, no two gambling jurisdictions are alike and some of them are stricter than the others. An online casino that cannot get a license from one gambling jurisdiction may easily get one at another. The best online casinos are always licensed in places such as the Isle of Man, Malta, Alderney, and Gibraltar as these jurisdictions are required to comply with European Union (EU) policies. Jurisdictions such as Kahnawake are also held in great esteem. Some countries such as Denmark and the UK do not allow online casino operators to operate in their territories until and unless they get a local license. For example, an online casino licensed in Gibraltar has to get a license in the UK if it wants to accept players from the UK. Before beginning to play at online casinos, players must understand that online casinos always have an advantage over their customers. All online casinos have a built-in advantage that is commonly referred to as house edge; or profits in percentages of the bets placed by players. For example, American Roulette has a double zero in addition to 18 numbers in red and 18 numbers in black. If players bet on red, their chances of winning their bet are 18/38 and their chances of losing are 20/38. Put in other words, American Roulette has a house edge of 5.26%. Casinos need this house edge in order to stay in business. Having a house edge does not mean that the games are rigged in favour of the casino. Online casino games are programmed to be random, but players may be unlucky at times and continuously lose their bets. This does not indicate in any way that the game software has been manipulated to favour the house. Reason #1: They are audited. Publicly traded online casinos are heavily scrutinized. They are continuously audited by independent third party companies as well as government authorities to make sure that their games are 100% fair and that their random number generators (RNG) truly generate random game results. Online casinos have to deal with governments continued to make sure that they comply with all the rules and regulations of the countries they operate in. Reason #2: They are highly reputed. Reason #3: They generate winners. Online casinos that focus on fair gaming always generate winners, especially winners of big jackpots. They are happy to generate winners because they know that happy winners always give them the positive publicity they require in order to thrive. Reason #4: They are regularly tested. All top-rated South African online casinos are regularly tested for randomness and fairness at independent auditors. The following methods are used to test online casino games for fairness. Beta Testing: Top game providers such as IGT, Real Time Gaming (RTG), BetSoft, NetEnt, Microgaming, and others, develop their online casino games in the house. A newly developed online casino game is thoroughly beta tested. In other words, it is played millions of time and the results are analyzed to ensure that it delivers the payout percentage it promises. New online casino games are released into the industry only after being checked thoroughly in-house. TST Testing: Technical Systems Testing (TST), a GLI company with global recognition, tests brand new online casino games independently to make sure that they are truly random and fair and capable of delivering the promised return to player. All top-rated game providers, including a few lesser known providers, have signed up for the services of TST. They send all their brand new games to TST so that they can get a fair gaming certificate for their new games just before releasing them into the industry. South African players should always search for TST’s logo, which is usually displayed at the bottom of the casino homepage. It suggests that the online casino games have obtained TST certification, ensuring that they are truly fair and random. Continuous Testing: In order to retain their licenses, online casinos are required to continuously have their games tested for fairness. Online casinos, therefore, partner with independent auditors such as eCOGRA, iTech Labs, TST, Gaming Laboratories International (GLI), NMi, BMM Test Labs, and others. These independent auditors test the games every month and the online casino faithfully publishes this report on its website so that players can have a look whenever they wish. Apart from checking the bottom of an online casino’s homepage to find out if it has partnered with independent auditors, players can also find out if it provides access to gaming histories. Many top-rated, licensed, well-regulated online casinos give players full access to their own gaming logs. This makes the gaming experience 100% transparent and makes it impossible for online casinos to rig online casino games in their favor.